This beautiful piece was originally manufactured in Soligen, Germany, home to classic straight blades design and quality. Groom + Style notes that the straight blade is light, sharp, and the blade is constructed from high-quality carbon steel. This combination tells us that the Dovo Straight Razor Carbon is elastic and durable. Another Groom + Style recommendation, this impressive straight blade is produced in France and is measured slightly longer than others. The full-hollow blade is ground and forged from TI Carbonson C135 steel. The straight blades’s grip is remarkably well-balanced and firm. Best part: it’s shipped pre-honed. Handcrafted from American mettle and hardened steel, the “Not a Replica” heirloom-worthy straight blade. Recommended by Ask Men, it’s described as a “next-level” razor. The blade metal is heat-treated to “prevent oxidation, then frozen in liquid nitro to harden it,” making it applicable for extended use. This elegant straight blade is recommended by Groom + Style. Any shaving enthusiast worth his salt will likely recognize the Buckingham & Sons name as one synonymous with quality. In addition to this razor’s many positive characteristics, you will also love that it comes with several accessories. With the purchase of this razor, buyers will also receive a leather and cloth strop to enhance the shaving experience. No matter what style you’re going for, you can’t go wrong with the above straight blades. 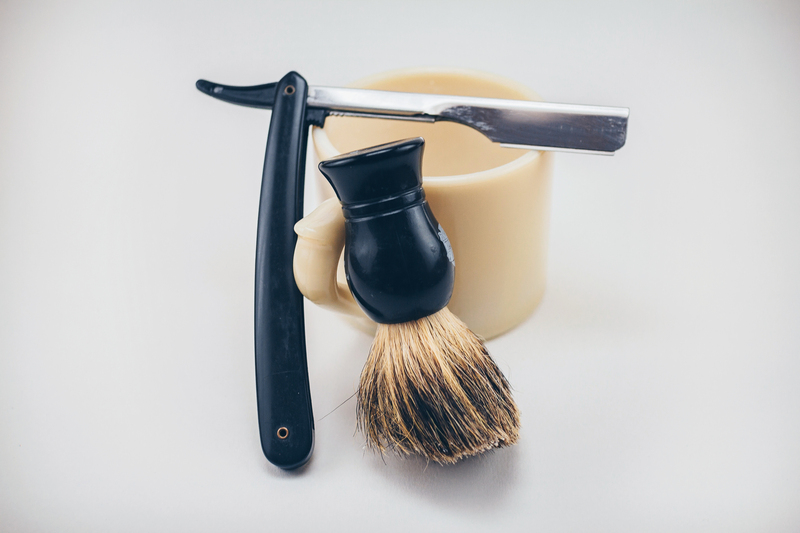 Take your shaving game up a notch and book an appointment with a professional!